Calling all amateur photographers! You can enter our parks photographic competition to win a share of £1,000. We are looking for photographs of your favourite views in parks. Your photos must have been taken in one of Belfast City Council’s parks or open spaces and they should focus on our park landscapes, people in the park or seasons in our parks. To enter the competition simply select one of the following categories and either upload your entry online, or send in your photographs using the entry form. The closing date for the competition is Friday 1 November 2019 before 4pm. People in our parks: such as people walking, jogging, cycling, attending events or using outdoor gyms, playgrounds, allotments and bowling greens. Park landscapes: for example landscape shots, animals, trees, plants, buildings and horticultural displays in a recognisable park setting. Seasons in our parks: for example Winter weather, Springtime flowers, Summer sunsets, or Autumnal colours. Under 16s: Each category is also open to persons aged 16 years or under as a separate category. We will also be awarding a £100 special award for the best four images, one from each season taken in the same park setting. To be eligible, your photos must have been taken after 1 January 2019 and they must have been taken from an area of the park that’s open to the public and is a recognisable park setting. The competition is open to everyone, except professional photographers. 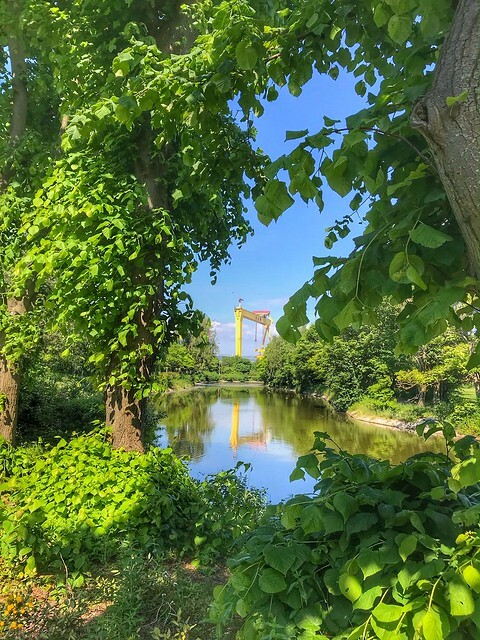 We cannot accept photographs that have won prizes in other external competitions, or photographs that were entered into a previous Belfast Parks photographic competition. View the winning photographs from our Parks Photographic competition 2018. View some of our previous entries to the Parks Photographic Competition here. View previous winners from our Parks Photographic Competitions. No competitor, including under 16s, may enter more than one category. Entrants can submit up to four photos in their chosen category. Entrants must be the sole author and owner of copyright for all photos entered. Images must have been taken in one of Belfast City Council Parks & Open Spaces. Belfast City Council retains the right to free reproduction and exhibition of all entries. By sending a photograph to us you grant permission for the council to publish the photograph, or any part of it, for an indefinite period, in any media it chooses including the council website and social media accounts. No commercial payment will be made by the council for the use of your photographs. Entries must be accompanied by an official entry form. If you are entering online, you must include your name, category, age (under 16s only) and the name of the park where the photo was taken, along with your entry. Before taking an image and submitting an entry, photographers must seek permission from anyone who is recognisable in any photograph or secure the permission of parents or guardians for the photographs of minors or vulnerable adults. Entrants’ images may be digitally edited to remove spots or scratches. However, the image should not have content added or removed digitally. Judges reserve the right to exclude any image that they believe has been excessively treated so as to alter its authenticity. All entries are sent at the photographer’s own risk and Belfast City Council is not responsible for damage or loss sustained in delivery (either electronic or hard copy) of entries. No more than one prize will be awarded to any entrant. A panel of judges will choose the winning photos. The decision is final and no correspondence will be entered into. No employee of Belfast City Council or John McQuillan (Contracts) Ltd may enter the competition. An awards ceremony for the winning entrants will take place in late November 2019.